The 2018 Michigan football fall camp is in full swing and things are already getting interesting. News of Tyrone Wheatley Jr. and Kekoa Crawford‘s transfers came to light with the release of the fall roster and things look set in terms of the roster going into the season, though attrition during camp is always possible. Either way, Michigan has one of the most talented rosters in the Big Ten which means there is plenty of camp competition. Hudson looks to be the future but he may not be the immediate future. He’s still learning the position after switching to offense full-time last season. 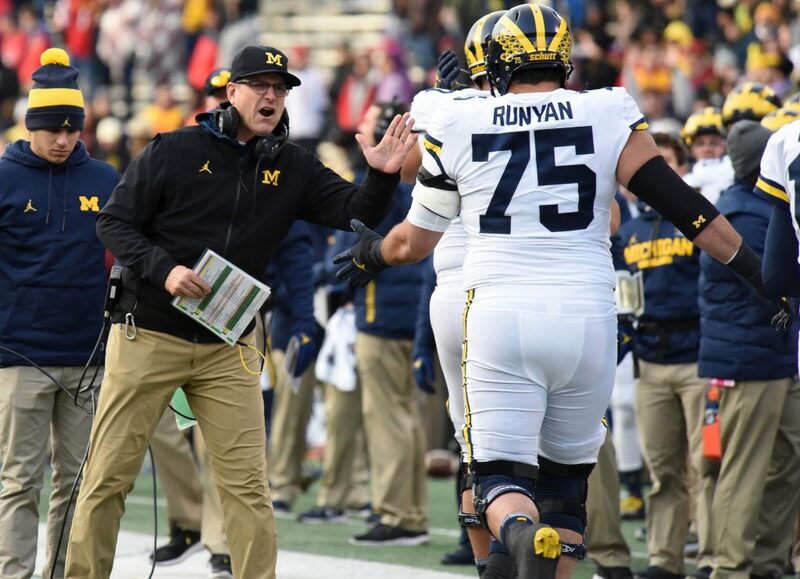 While he may end up playing plenty this season, the favorite originally looked to be Juwann Bushell-Beatty but according to The Wolverine’s Chris Balas, Jon Runyan Jr. may be the man to beat there ($). This will be a position battle that goes well into the season but I like Hudson to eventually lock down the position as Runyan could potentially swing over to right tackle and battle JBB and others for that spot. There are also rumors of Newsome getting the green light to get back on the field but even if that’s the case, it’s hard to see him ready to go early in the season or this season at all after missing so much time. Hayes and one-time starter Ulizio are also going to battle for back up minutes while freshmen Jalen Mayfield pushes for time at right tackle. Metellus played in every game in 2017 but his play would best be described as up and down. He has the athleticism to make the plays but he has struggled to make them. The dropped interception against Ohio State up 14-0 may have been the biggest play of the game. But he’s another year older and is said to have taken a big step forward this offseason. But the spot is far from locked up. Casey Hughes is in town from Utah. J’Marick Woods and Jaylen Kelly-Powell saw time last year and are going into their sophomore seasons. But it’s another sophomore that is making the most noise: Brad Hawkins. Hawkins has been mentioned by the coaches multiple times as an up and coming player. 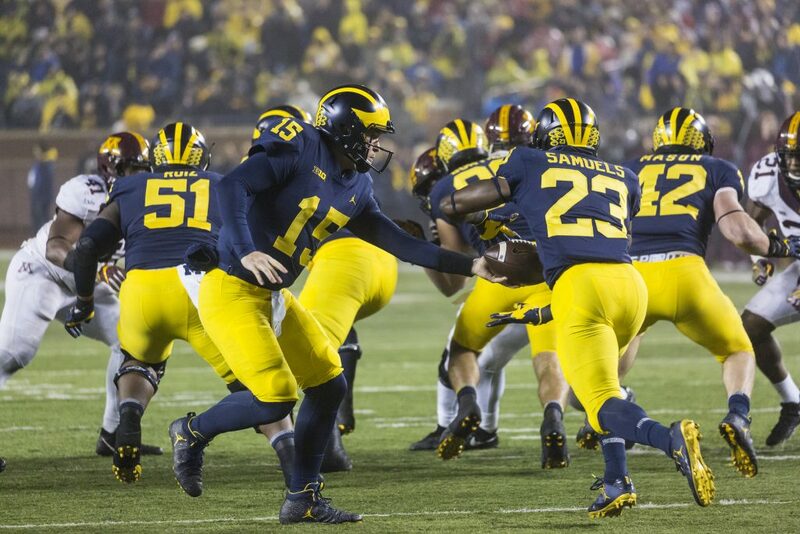 With the playing time available, it sounds like Hawkins could be the backup to Metellus to start the season. I wouldn’t be surprised to see Hawkins, Hughes, Woods, and Kelly-Powell all flash during their playing time but Metellus getting the majority of reps as the starter guy alongside Tyree Kinnel. This will probably be the battle that’ll be the most fun to watch. Perry is the seasoned veteran that led the team in receiving yards last season. He also received some recent praise in 247Sports Sam Webb’s camp update ($). But he’s not the only slot receiver getting that praise as redshirt freshmen Oliver Martin looks to be the future of the position and ready to take the spot this season. Perry is likely to start against Notre Dame in the slot but look for Martin to get plenty of time and targets as well. Martin’s ability to play on the outside as well as in the slot should help him see the field quickly. Walk-ons Nate Schoenle and Jake McCurry have also received love this off-season and should compete for playing time all season long. Another position battle that’ll go well into the season. 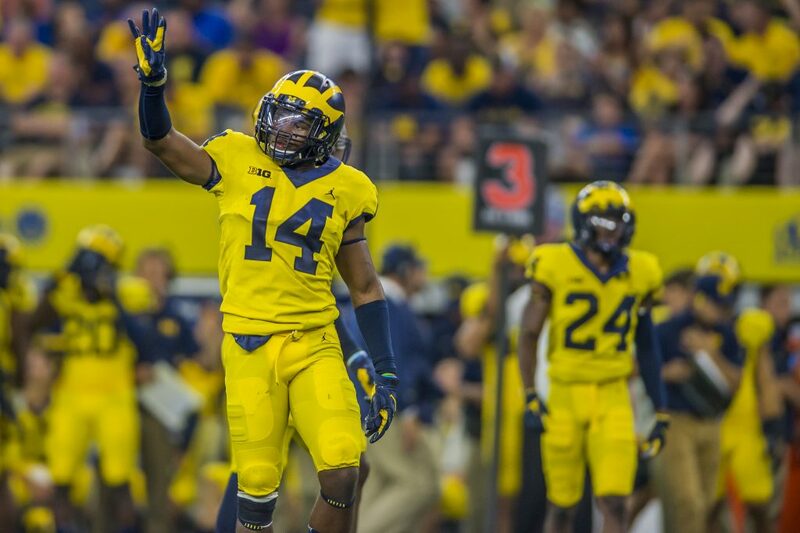 Mike McCray has graduated and retired from football so there’s a big hole in the defense. Gil played well in his limited time in 2017 and Ross flashed on special teams. Both have received a lot of love from the coaching staff this offseason and are both expected to play against Notre Dame. But it’s Ross who I believe can land this starting spot by the time conference rolls around. As for the rest of the depth chart, Singleton and Anthony are both players that should flash this year as they see time on special teams and in garbage time. The linebacking core is stacked with talent. This will be a big year for the next wave of talent. Michigan has one of the best running back duos in the country with Karan Higdon and Chris Evans. But the staff needs to find that third back that’ll grind out yards throughout the game. Ty Isaac didn’t exactly live up to the five-star rating but he did come up big several times last season. And now this replacement is needed. Wilson received plenty of love after spring ball and even though he’s a walk-on, he’s a guy that will play. Though I don’t believe he’ll be the longterm third back. Turner has been a popular pick while Samuels should be ready to step into that spot. But the name I’ll be watching is Haskins. He adds a different dynamic to the stable. If he’s physically ready, he’s a darkhorse in this race. 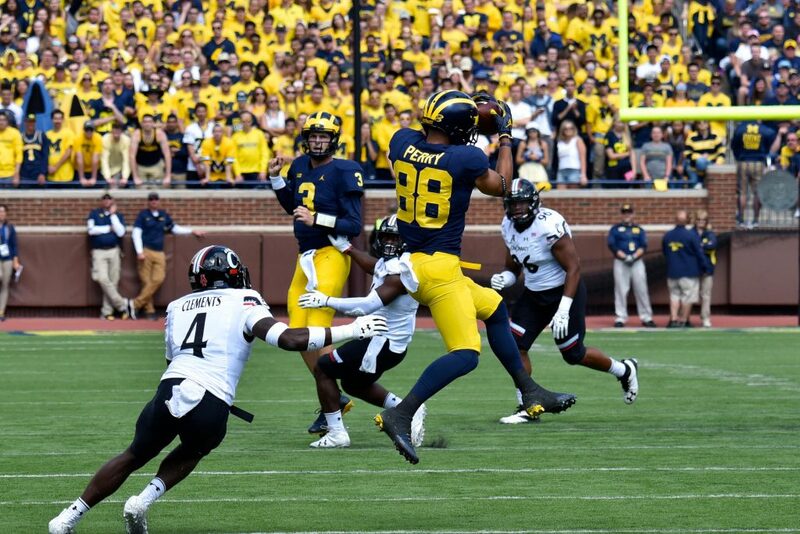 Look for Haskins, Turner, Samuels, and Wilson to all get reps behind Higdon and Evans. It’ll be interesting to see who breaks away from the pack to lockdown that spot. It may not be settled for some time. While the quarterback position will be the most talked about in the media, it would be a complete shocker if Shea Patterson isn’t the starter against Notre Dame. The bigger question is who will be backing him up. 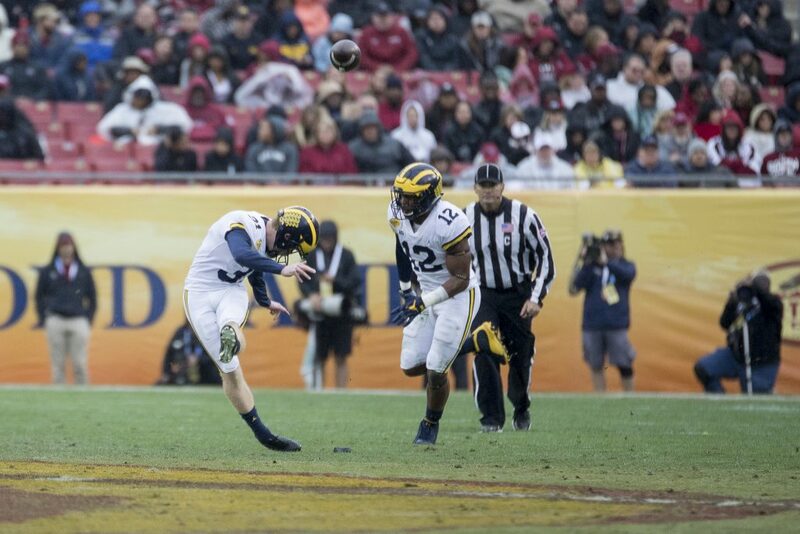 Brandon Peters has the experience but Dylan McCaffrey and Joe Milton have all the hype. 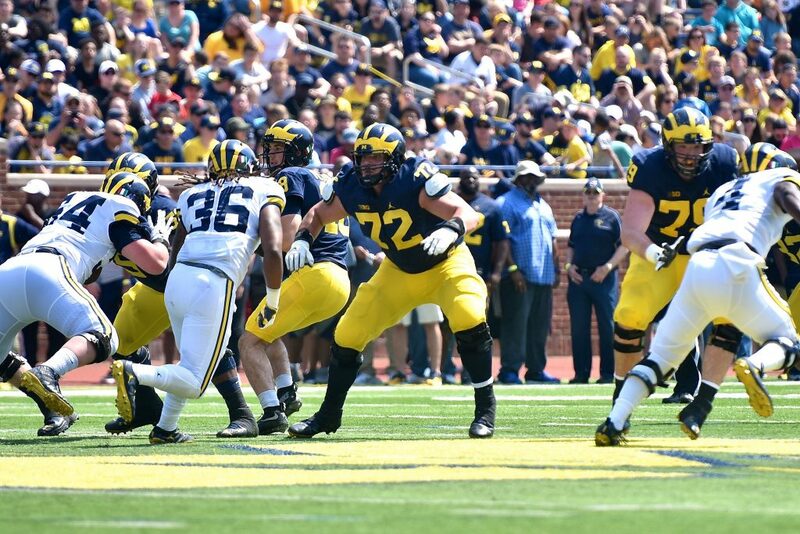 Other position battles that’ll likely go on well into the season include Right Guard between Mike Onwenu and Stephen Spanellis, SAM linebacker between Noah Furbush and Josh Uche, and Nose Tackle between Aubrey Solomon and Bryan Mone.